Today, we're going to talk about different forms of lettuces we can use in our daily food in various forms. Normally, lettuce is used in salads though one can use them in burgers, sandwiches and other recipes too. If you love to eat various types of salad, you can try out these lettuce varieties to surprise your loved ones. My favorite in this list is rocket lettuce which I often use with pizza toppings. Some of these lettuce varieties have a sharp flavor while others give you a nice subtle flavor. You can easily grow these lettuces in your home garden as they need little care and grow quite fast. While using them in salads, try different kinds of dressings. So let's check out these delicious lettuce variants. 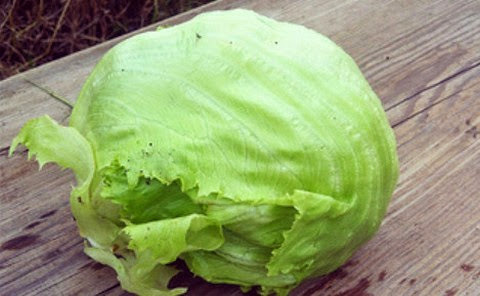 Iceberg Lettuce - This popular lettuce variety more or less looks like a cabbage. It is mostly used in salad and sandwiches though you can include it in other recipes. The light and crunchy leaves add a nice and subtle flavor to the preparation. It is one of the few lettuce varieties that can be kept in refrigerated form for a long time. It contains several vital minerals and vitamins that can help you strengthen your overall body metabolism. Without any doubt, it is one of my favorite lettuce varieties. Butterhead Lettuce - This is another popular lettuce variant with large and soft leaves that can be used in various forms. The most obvious use of this lettuce is using it in salads. There are several varieties of butterhead lettuce which are popular in different parts of the globe. This lettuce is better known for its unique flavor you can feel on your taste buds. It contains antioxidants that are good for anti-aging and immune system. I often use this lettuce with cheesy salads. Romaine Lettuce - The base of this lettuce stems gives a unique bitter taste that is often used in different types of edible pastes to flavor recipes. 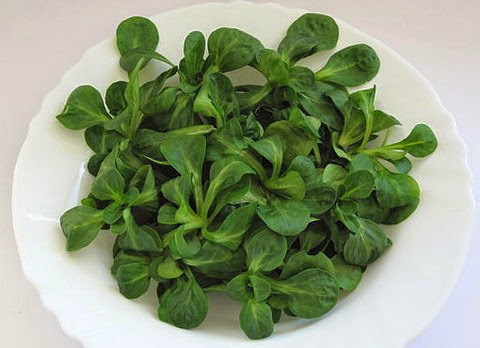 The upper soft leaves are ideal for use in salads with sharp or light dressings. The antioxidants properties of this lettuce are believed to prevent certain types of cancer. I'll advise you to include this lettuce in your diet in the season. If it's available throughout the year in your locality, do not hesitate to use it frequently in your salad preparations. 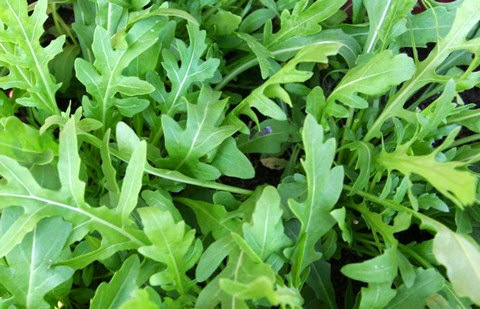 Rocket Lettuce - This is a sharply flavored lettuce I often use in pizza toppings as well as in dips. It's more like an herb than a lettuce. Its young leaves have a mildly sweet flavor while fully grown leaves have a spicy flavor. 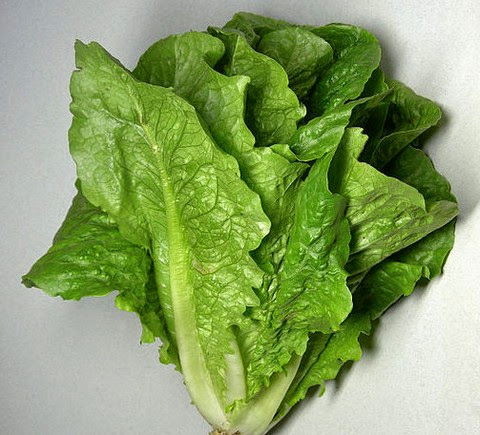 Like other lettuce variants, this one also contains several vital nutrients good for health. You can make a paste of this lettuce with extra virgin olive oil to prepare the delicious dressing. It can be easily kept in refrigerated form for up to 5 days. You can also serve it with cheese. 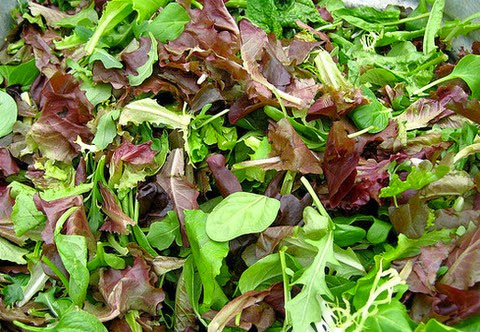 Mesclun Lettuce - This French lettuce is ideal for salad recipes. It comes in several varieties which can be evenly mixed in your salads. It goes well with spice based dry seasoned salads as the flavor of leaves complements the seasoning flavor. It can also be used in sandwiches in its original form. You can also finely mince it to add in various sauces or dips. It's available throughout the year in our superstores and local market, so we try to regularly use this tasty lettuce in our meals. Celtuce Lettuce - This Chinese lettuce is quite popular in South East Asia and is used in different recipes. Its tuberous root is sliced and stir-fried while making several types of main course recipes. It is also used in hot spicy soups as a garnish. Some people use it in the form of a vegetable and cook it with other tuberous veggies like sweet potatoes. It is rich in minerals and vitamins. This lettuce can be easily grown in almost any climate, though the extreme cold weather may hinder its growth. 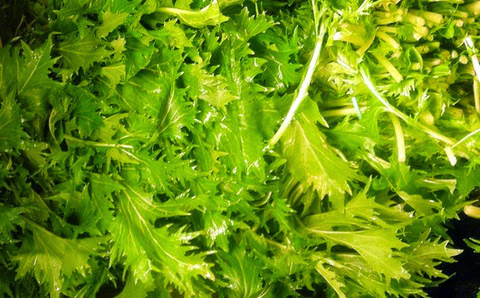 Mizuna Lettuce - This sharp flavored lettuce is of Japanese origin and is used in salads, sauces and in stir friend forms. Its mustard type flavor makes it ideal for use in the wide range of preparations. This lettuce can be refrigerated for up to a week. There are over a dozen varieties of this lettuce which are continuously growing. I prefer to use this lettuce in mint and mushroom dips combining it with spicy seasoning. This delicious lettuce variety can be easily grown in almost any kind of soil. Lamb's Lettuce - The soft and flavorful leaves of this lettuce makes it an ideal choice for salad recipes. It grows well in a Mediterranean climate. It contains a generous quantity of vitamin C and several other vital nutrients. In some parts of the world, it is considered as a weed as it grows among the primary cultivation plants. You can also include this lettuce in pasta and noodle recipes. You can easily grow this flavorful and aromatic lettuce variety in small clay pots on your home's roof. 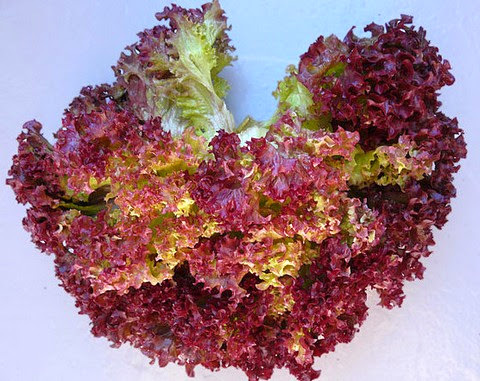 Lollo Rosso Lettuce - This popular lettuce form is available throughout the year. The quantity of antioxidants present in this lettuce is several times more than any other lettuce variety. I'd highly recommend using this lettuce in your daily diet. This versatile lettuce variant can be included in toppings, sandwiches, salads, and dips. This lettuce also has few varieties that differ in flavor and appearance. 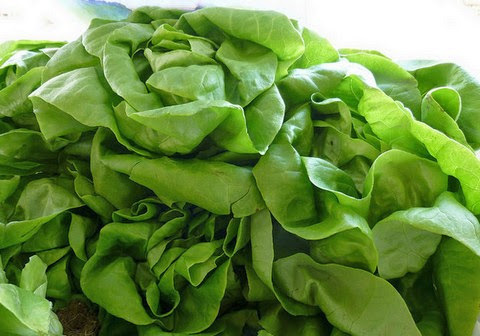 Asthma patients can use this lettuce in their daily diet in different ways. 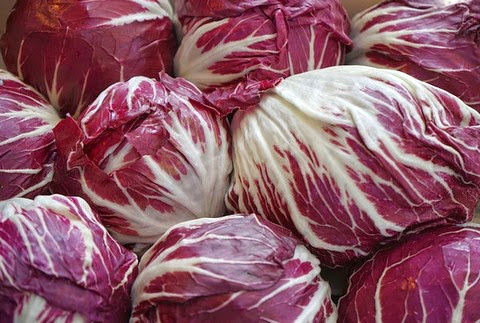 Radicchio Lettuce - This delicious lettuce has a bitter and spicy taste that elevates the flavor of recipes. Apart from using it in salads, people also consume it in grilled or roasted form by mixing it with other ingredients. Originally from Italy, it is also used with pasta and different types of risotto preparations. Some people claim it has the power to purify the blood. Sometimes, this lettuce is also included with stuffing used for meat recipes. My family loves this delicious purple lettuce.